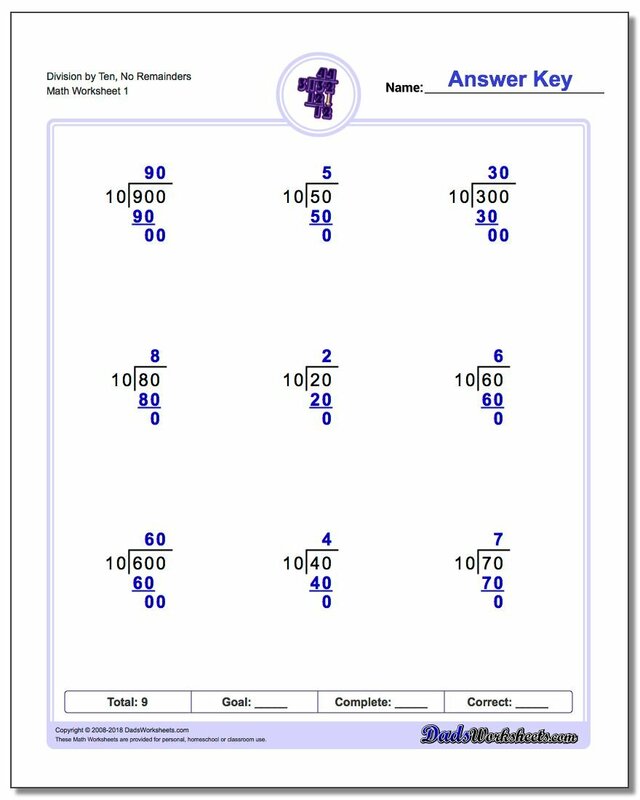 Long division worksheets with problems focusing on factors of ten, with and without remainders. 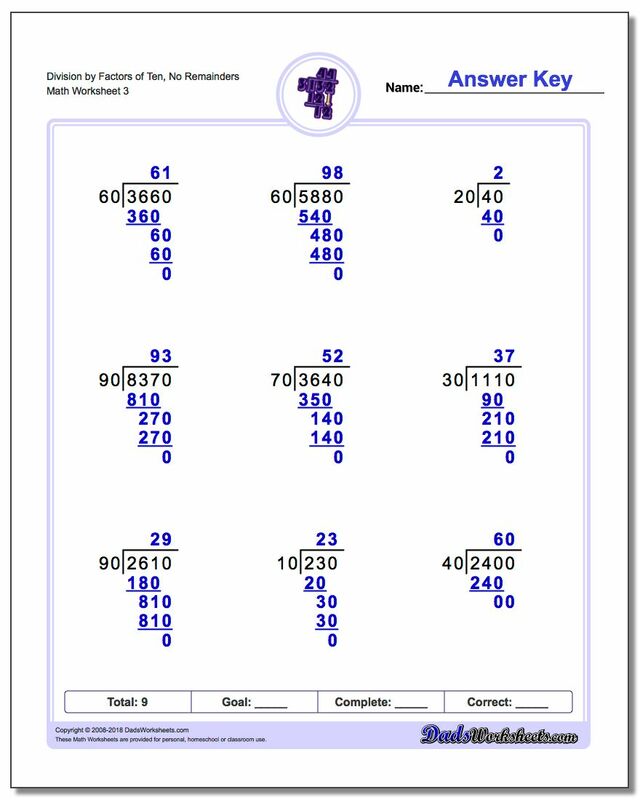 Working these problems can build slightly different skills such as dropping zeroes to solve problems, which is slightly different from the steps for long division traditionally but still reinforces the same concepts. 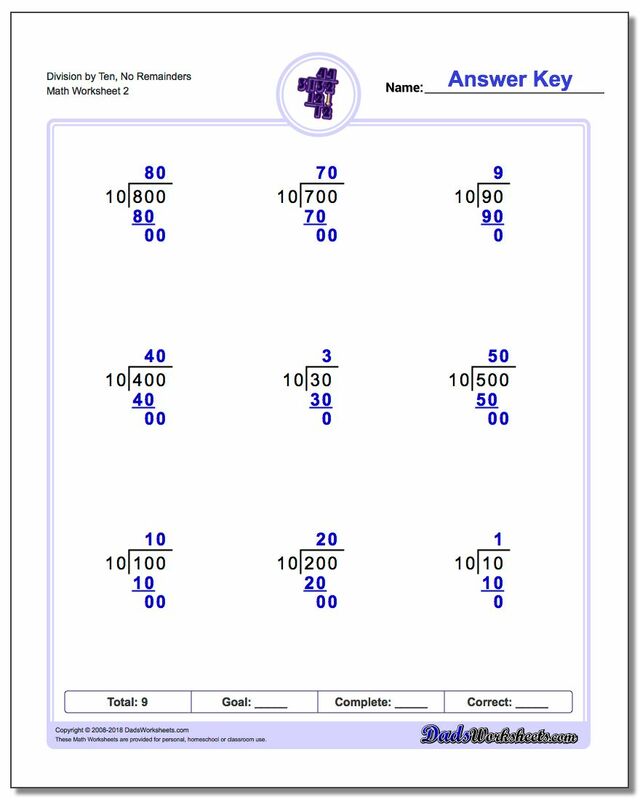 Long division by powers of ten is an important skill because it occurs so frequently in math and science based applications of mathematics. 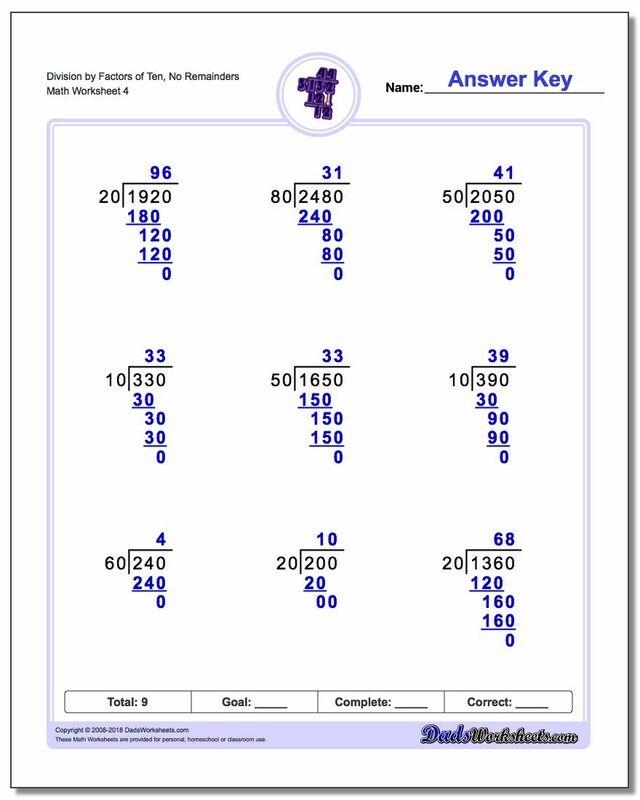 The steps involved in powers of ten division are often less complex than traditional long division because often the work is simply shifting decimal places or cancelling out zeroes to find the appropriate quotients, but conceptual understanding of place value and division build a different set of skills that will make these division problems familiar in their applied settings. 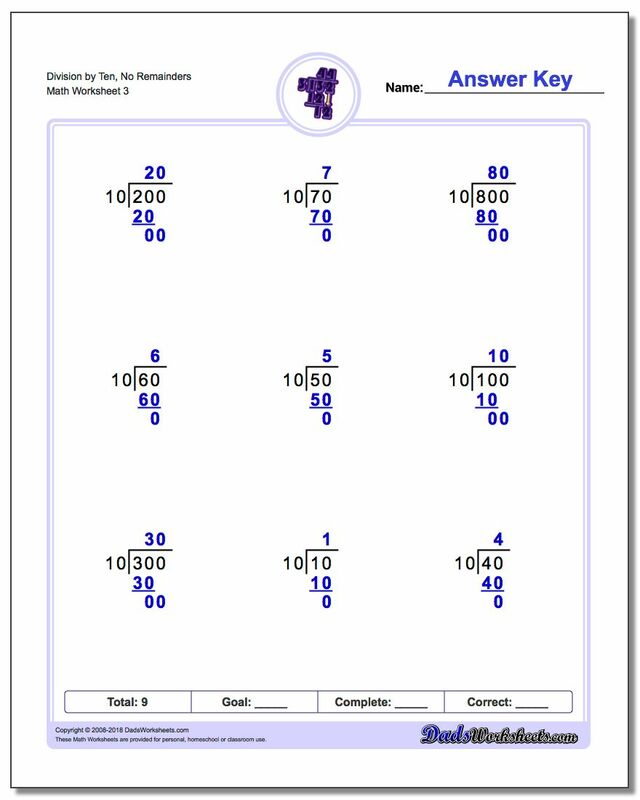 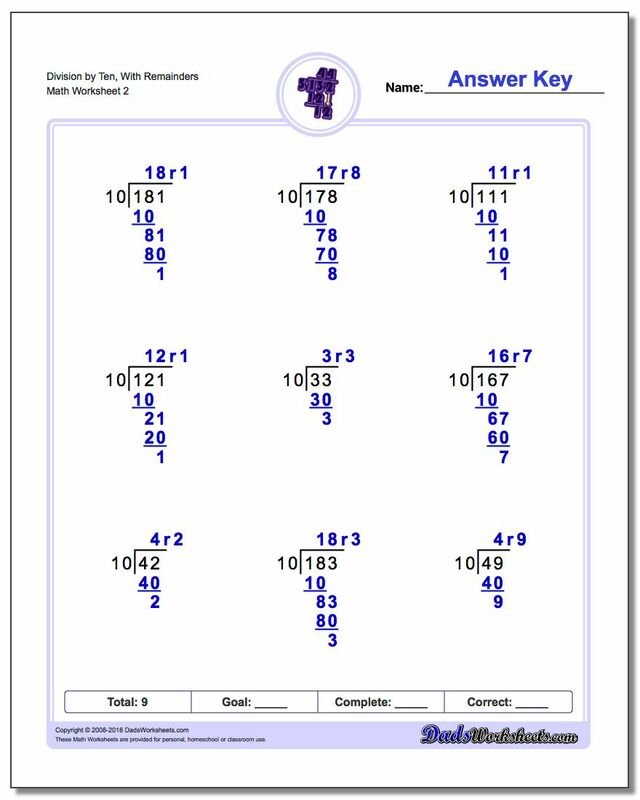 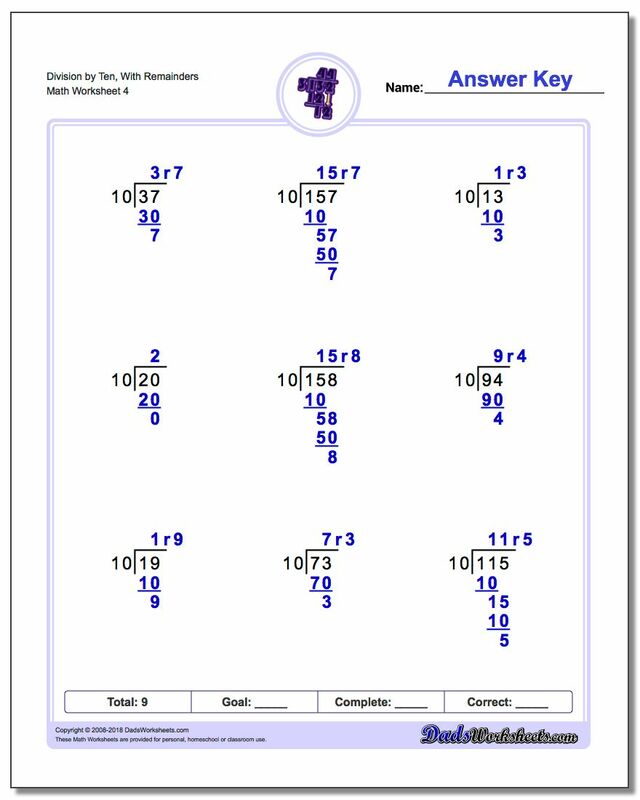 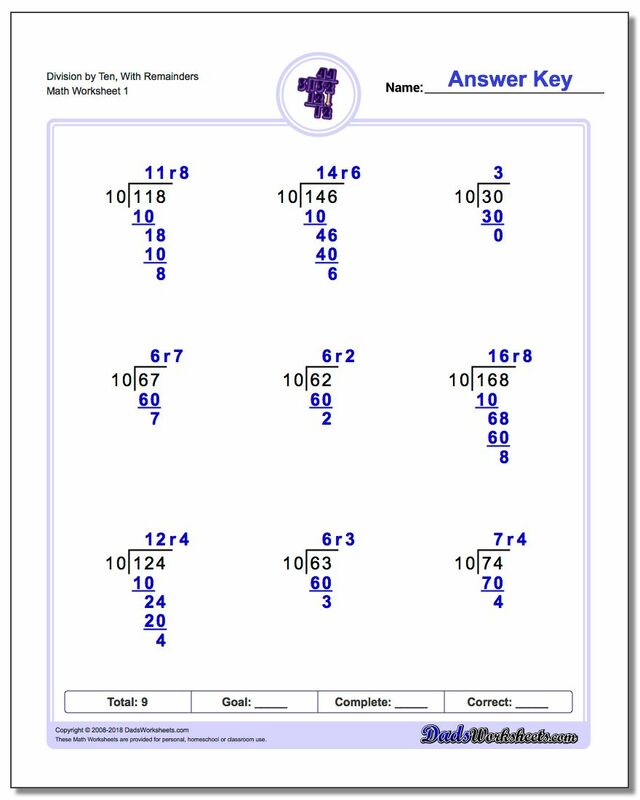 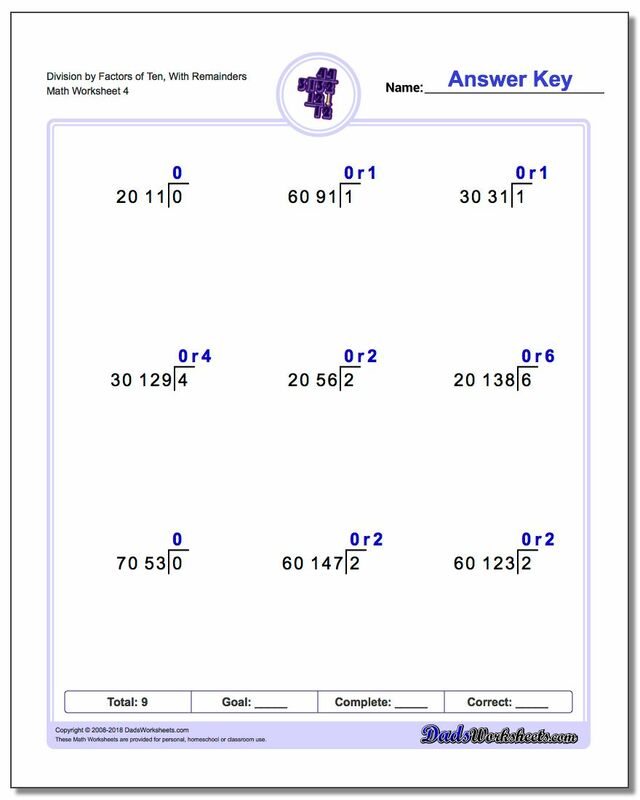 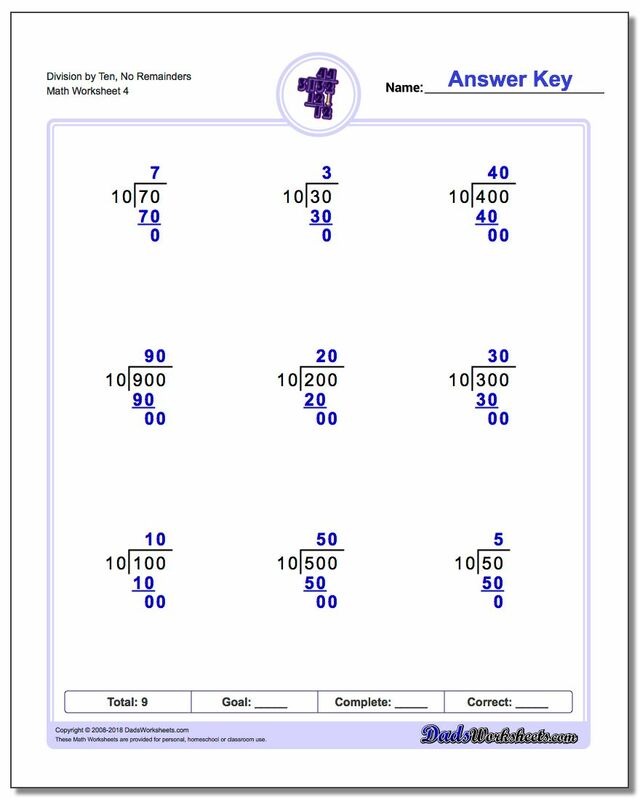 These worksheets begin with simple long division problems that introduce dividing by ten, then multiples of ten without remainders. 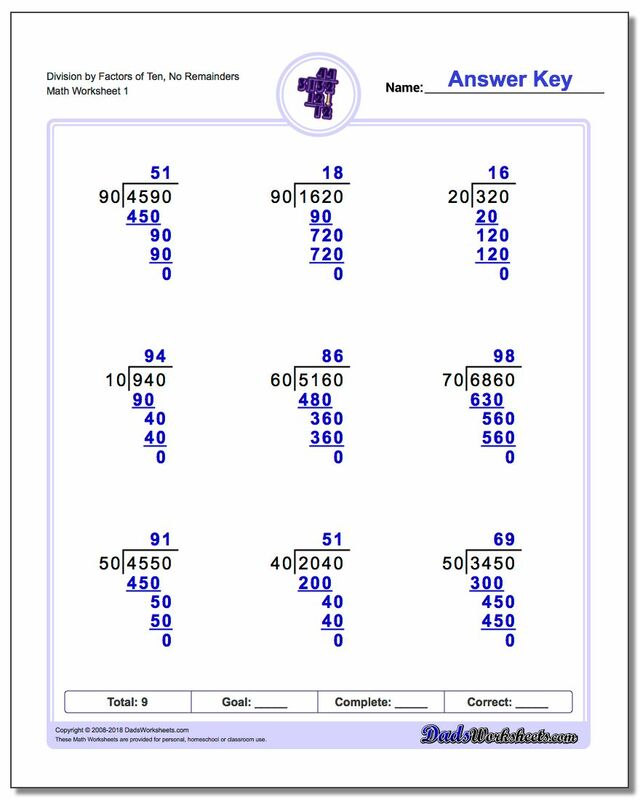 The later series of long division worksheets in this section perform division by ten but also incorporate remainders in the quotients.